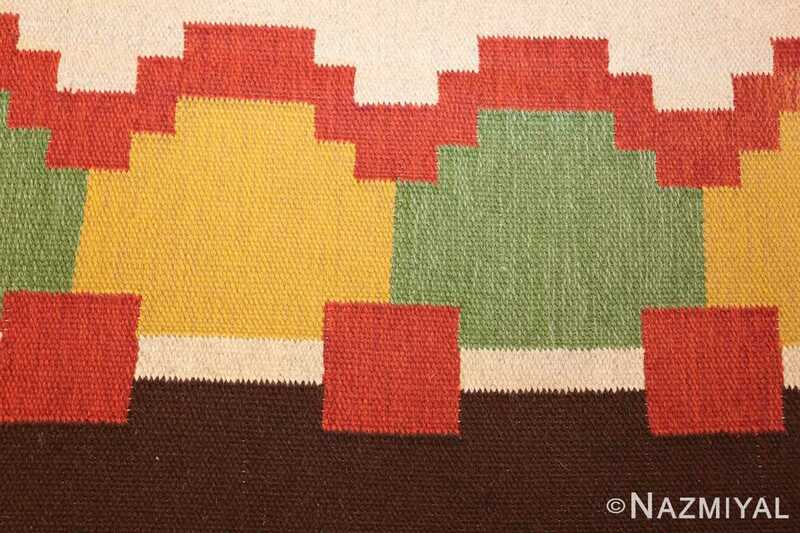 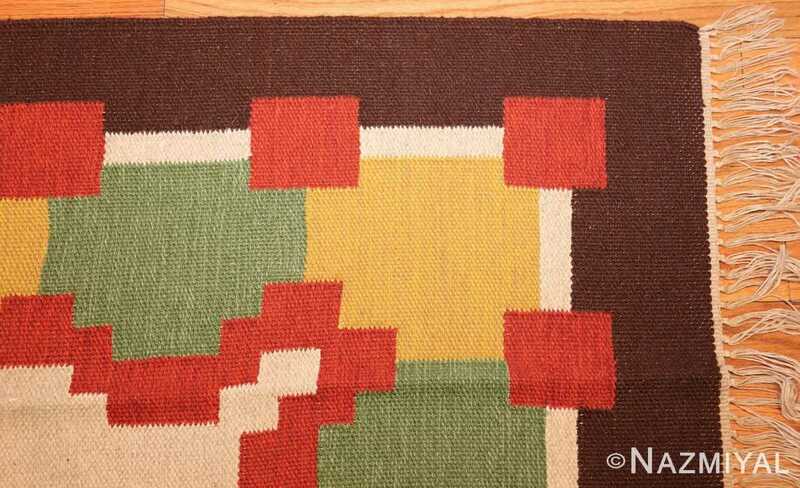 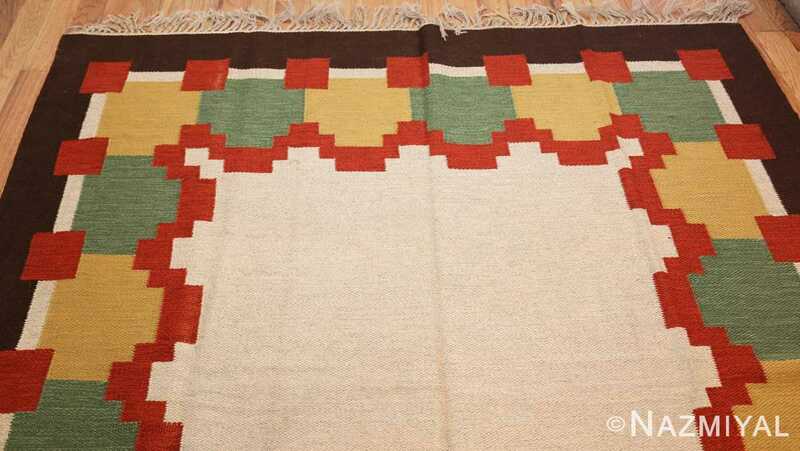 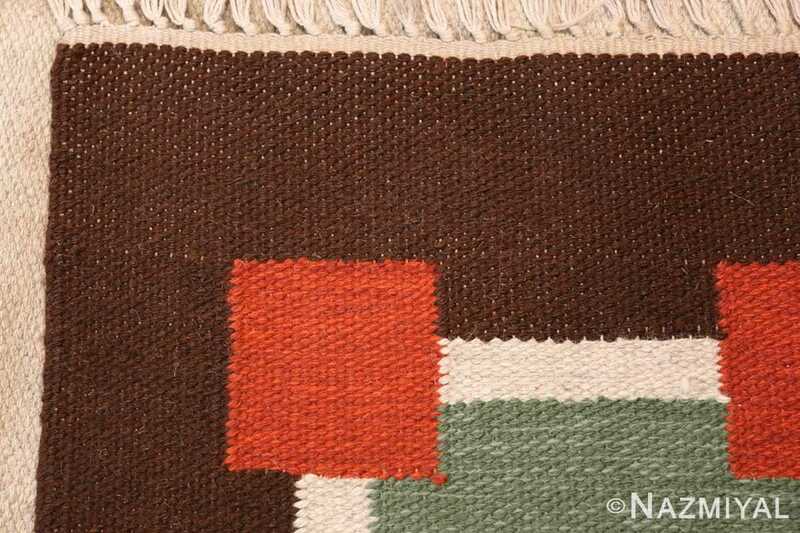 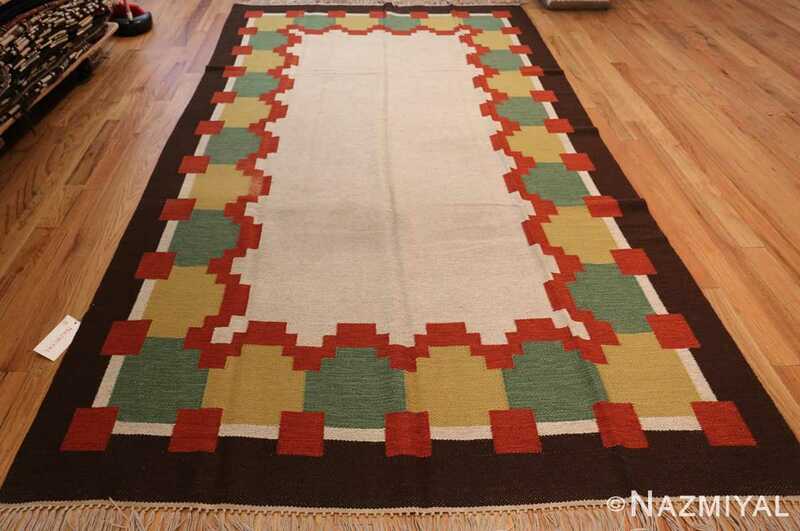 Vintage Scandinavian Swedish Kilim, Country of Origin: Sweden, Circa Date: Mid 20th Century — True to almost all types of Swedish kilims, this piece makes use of simple, blocky colors and forms to create an elegantly understated pattern. 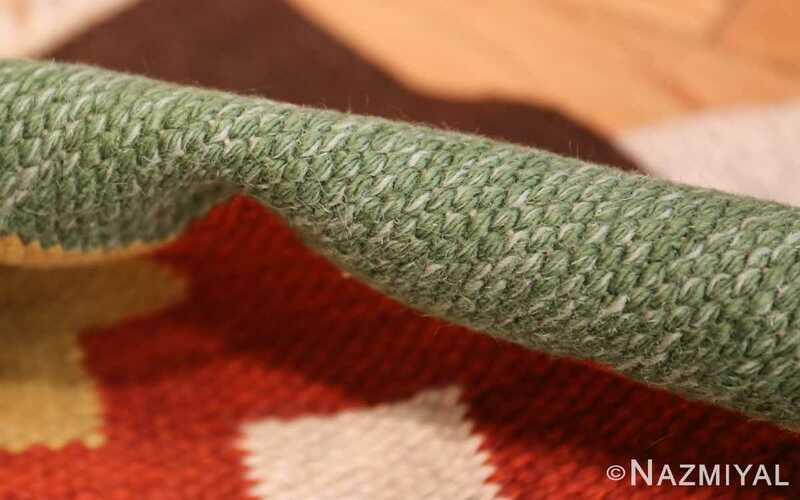 Through the rudimentary figures, an engaging scene is created. 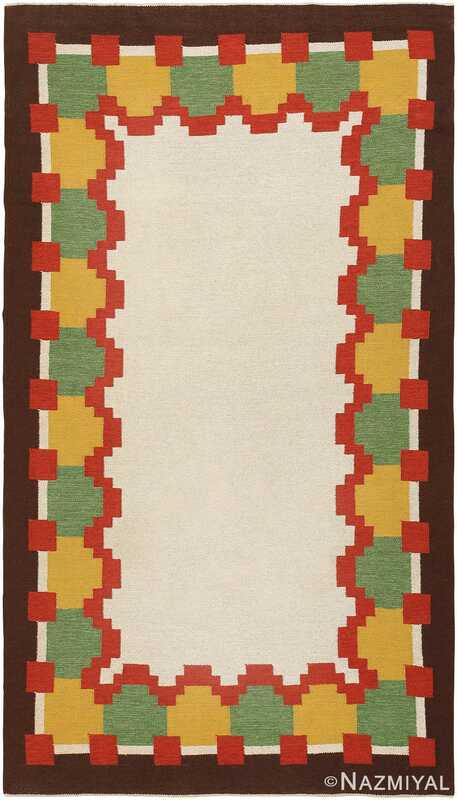 A rich, coffee brown border frames a smaller series of lines and angular flows. 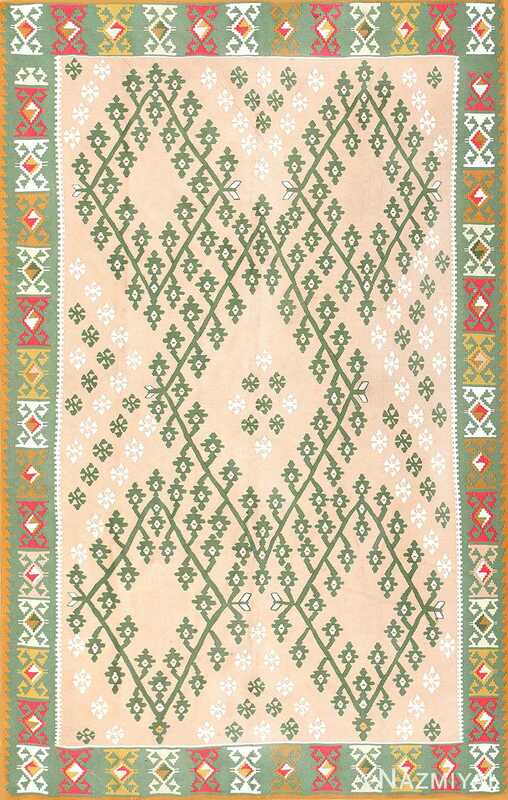 Alternating blocks in green and yellow are housed within a white frame, which has several red squares strung along the lines like beads. 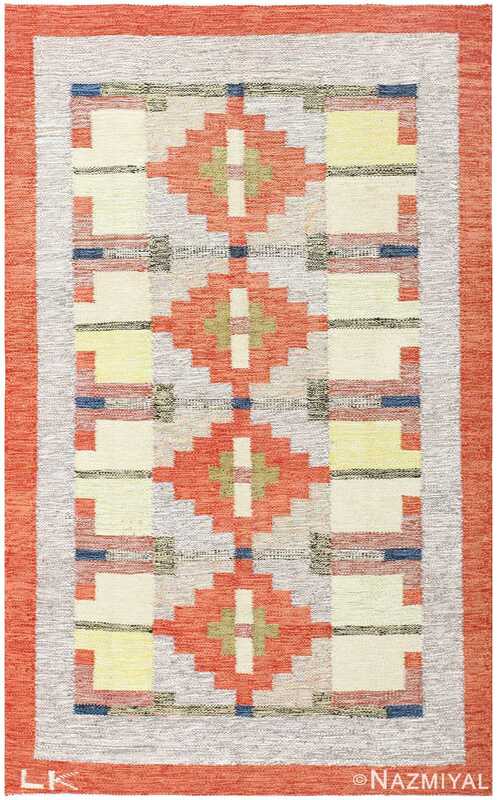 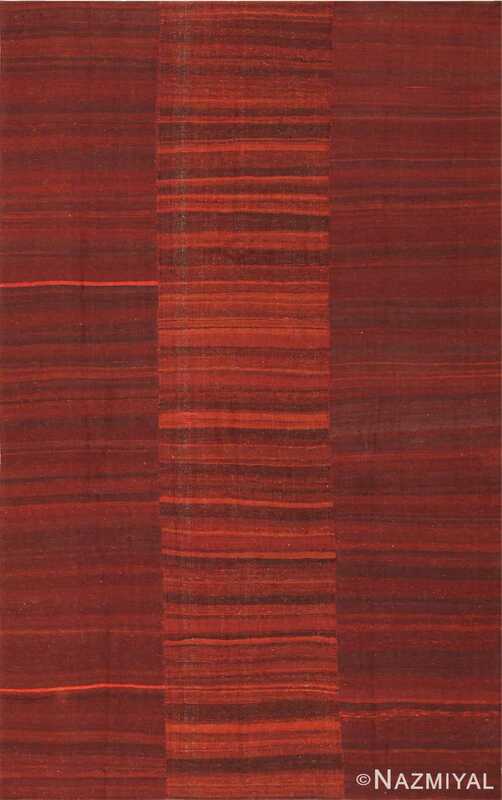 At the center of the rug is a rich, milky white background that is broken up by a string of red arches. These forms connect the centerpiece with the rest of the borders.